Buying garden tractors or ride on mowers can be a large investment. But with the right attachments your new machine can be employed to carry out many more useful jobs than just mowing or towing. Ride on mowers can do more than cut lawns – they can be used to help sow new lawns evenly. 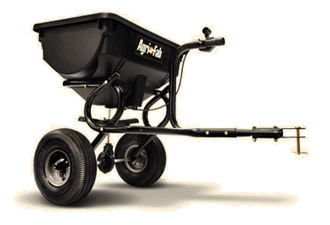 Whether you are sowing commercial crops or just renewing a lawn, these spreaders are just what you need for accurate broadcasting of seeds and fertiliser. We have a range of sizes with capacities of between 39kg and 56kg, and capable of covering areas between 14,200 and 17,500 square feet. 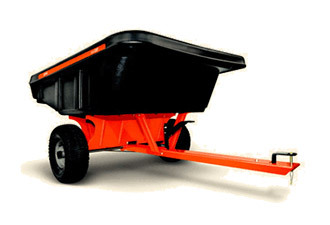 Spreaders are available in push or towed versions. Turn ride on mowers into efficient garden sweepers which can collect leaves and debris and place them into a hopper for easy disposal. 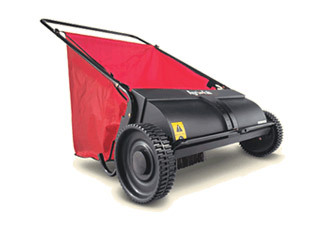 Capacities range between 7-25 cubic feet, and can sweep widths between 66-105cm. Smaller models are push, larger sweepers are towed. Garden tractors are ideal for moving heavy loads around a garden or smallholding – so a trailer is essential kit. Both utility and tipping trailers are available, capable of loads up to 500kg. Add a roller to your ride on mower for a fabulous stripe finish to your lawn. 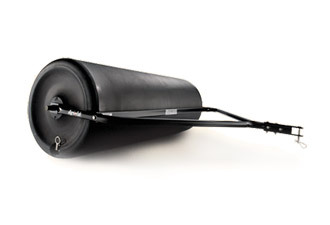 Alternatively, we also have a heavy duty firming roller which can be useful when wanting to “firm up” turfed areas in the spring. Garden tractors are the ideal machinery for carrying out heavy jobs such as harrowing your paddock to keep it in top condition. 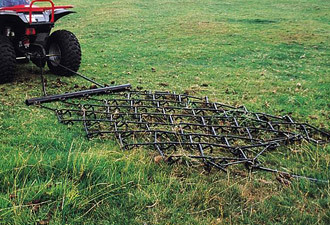 Our towed chain harrows give a choice of working widths, with a choice of aggressive cut, passive cut or smoothing, and require garden tractors of 13hp and above. 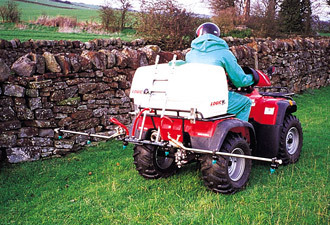 Whether you want to apply feed to a large area of lawn, or spray fertilizer over small commercial crops, a sprayer attachment will help produce an even layer with minimum effort. Our attachments for garden tractors and ride on mowers are available in all of our stores, in the counties of Suffolk, Norfolk, Essex, Cambridgeshire, Kent, East Sussex, West Sussex, Surrey and Hertfordshire.